For many patients, chemical peels are an ideal way to restore the look and feel of your skin. Our skin care specialists use a variety of alpha hydroxy acids, beta hydroxy acids or new multi-hydroxy acid approach to effectively remove dead skin cells and stimulate your skin’s natural renewal process. 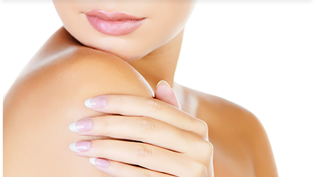 These nonsurgical procedures are conducted in our relaxing skin care facility by our experienced registered nurses. Chemical peel treatments are performed with varying levels of concentrations, and your chemical peel will be customized for your individual skin type and aesthetic goals. A personal consultation with our skin care specialists will determine if a chemical peel is the best treatment option for you, and allow us to work with you to develop your custom treatment plan. The staff of the Skin Care Clinic can help to develop a regimen to use on a daily basis at home. We carry multiple skin care products that compliment the in-office treatments to help you obtain your best possible results. Whether you are preparing for one of our facial surgery procedures or just want to improve your complexon, these skin care lines provide the ultimate benefit to your skin. To learn more about chemical peels and other skin care treatment options, please contact the Skin Care Clinic at Piedmont Plastic Surgery by calling 864-223-0505 or filling out our online form to schedule your consultation. We proudly serve patients in the Greenwood, Greenville, Anderson, Columbia, and Laurens, South Carolina, areas. Patients from Augusta, Georgia, are also welcome.